When was the last time you woke up feeling like you were excited to dive into your day? 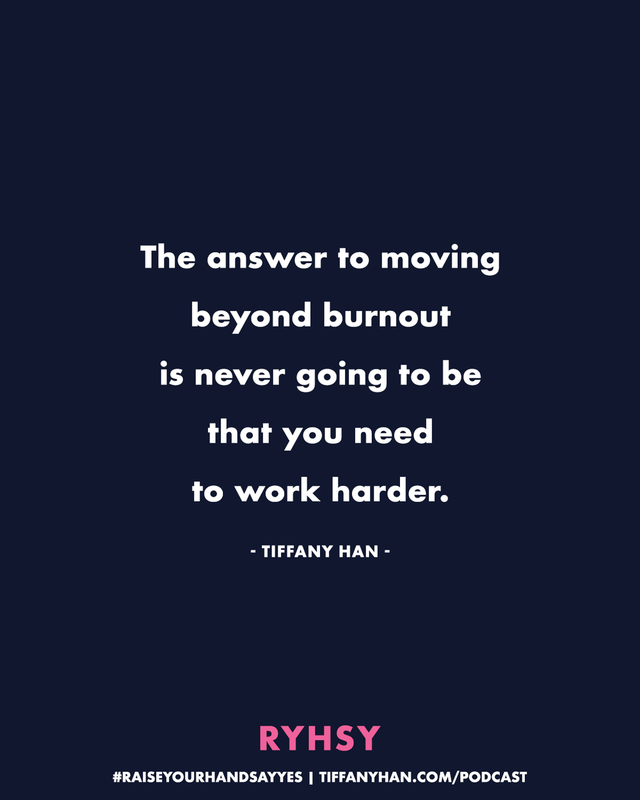 If you're not sure, you might be suffering from burnout. In this week's episode, I'm sharing the 12 phases of burnout (as developed by psychologists!) and talking about why I think—as hand raisers and yes sayers—we're especially prone to burning ourselves out. I'm also sharing one of my favorite super-easy-to-start-using tools for beginning to move yourself beyond burnout.